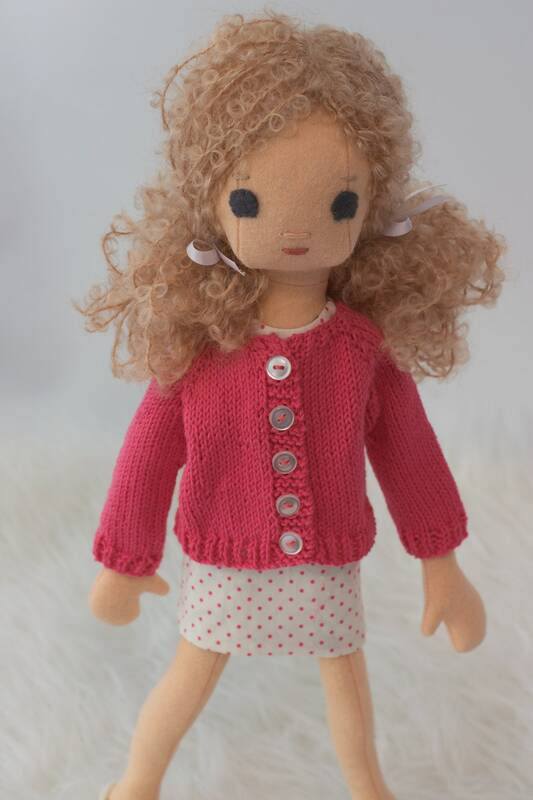 A handknit cardigan is essential in any doll wardrobe. 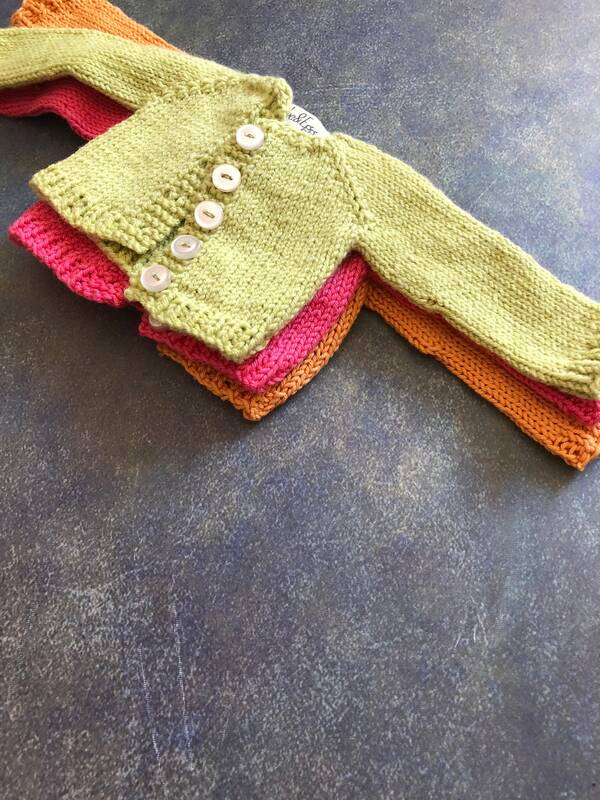 This cardigan is made out of Rowan 4 ply cotton, which is a soft but sturdy cotton yarn. 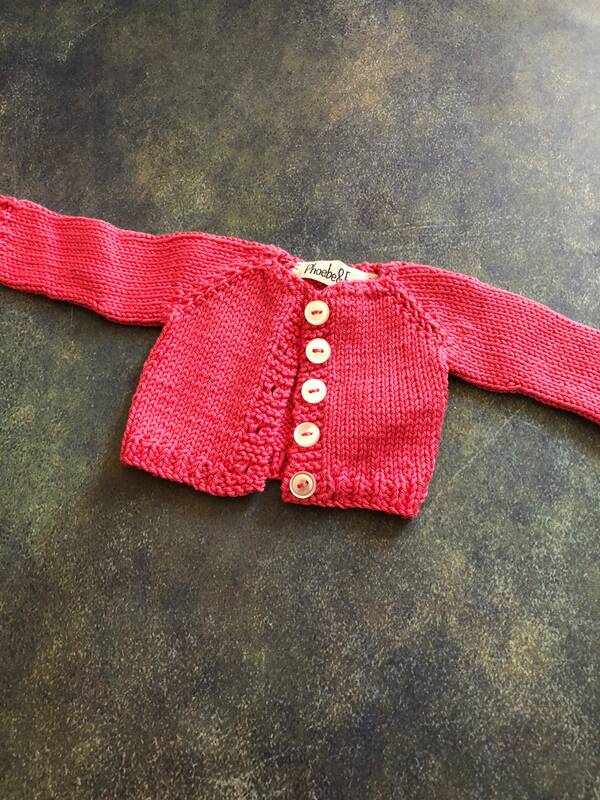 The cardigan is a deep pink and has little retro buttons sewn on with coordinating deep pink floss. 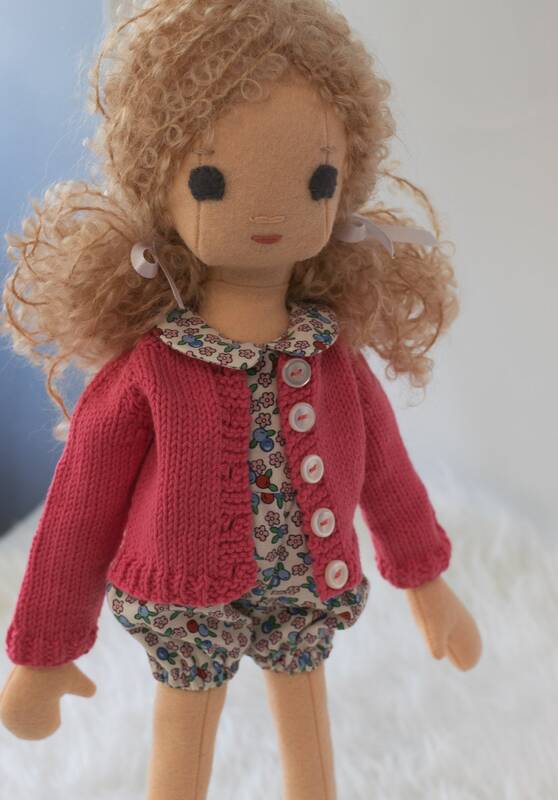 This is a listing for the green cardigan that fits 16.5 inch Phoebe dolls. 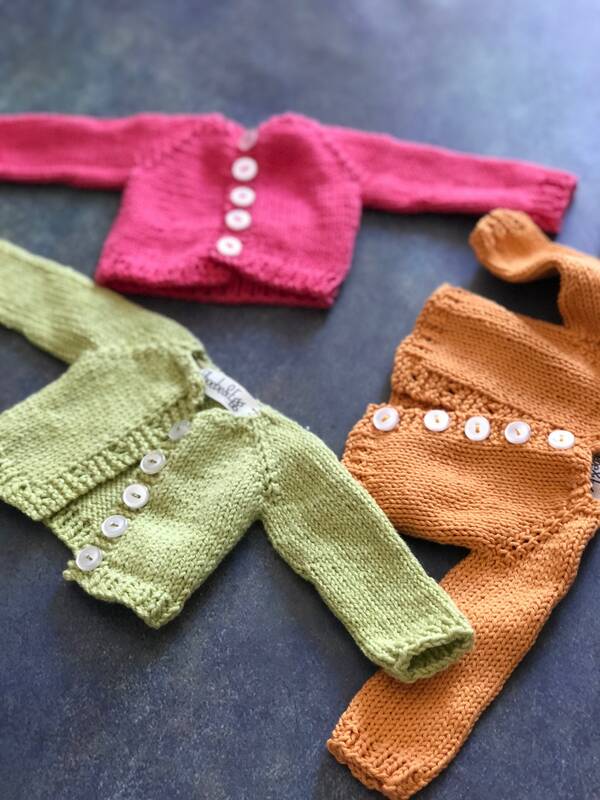 Contact me if you ordered/are ordering multiple items, so I can combine shipping.